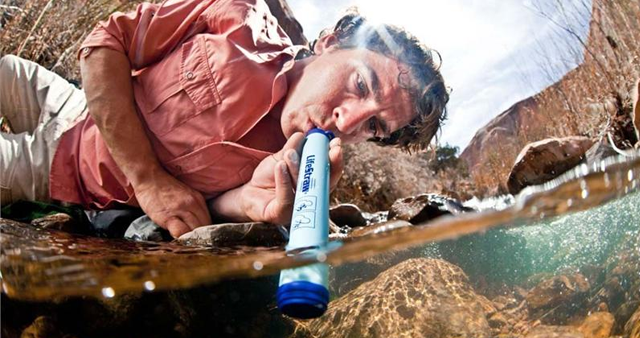 Lifestraw provides you with safe, clean drinking water in any situation. Lifestraw doesn´t require batteries, filters up to 264 gallons, removes 99% of water bacteria and parasites and weighs only 2 ounces. Wowzers! Great for camping but even greater for the millions of people without access to safe clean drinking water, a luxury we take for granted. Donate one now!